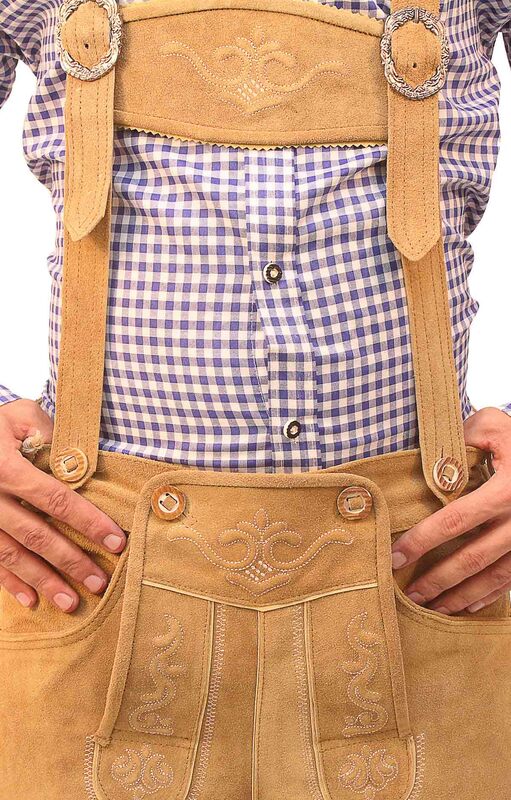 A Bavarian short lederhosen made of fine skin leather that is well known for its quality. 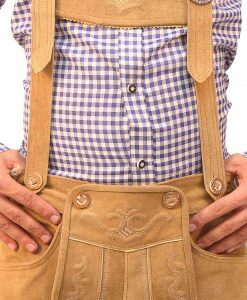 A fine embossed embroidery on the pockets and wood brown cross flap. 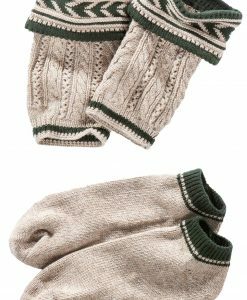 Also includes suspenders and buckles, to adjust your size. 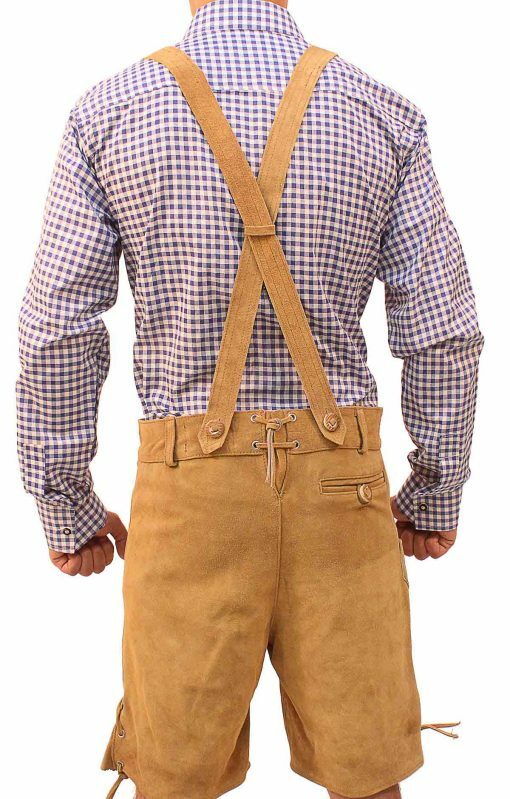 This short Bavarian leather trouser was worn by hard working labors. 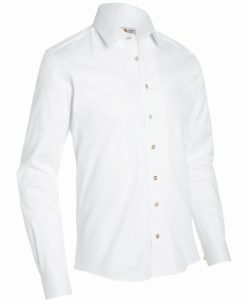 The outfit fabric will stretch once you wear it, according to your size and fit comfortably. 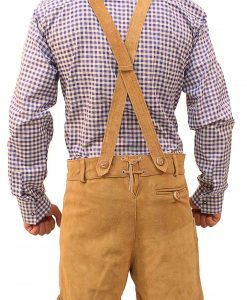 This lederhosen is made of authentic leather and comes with two adjustable suspenders that hold a cross patch along with a metal buckle. The fabric has an embossed embroidery on the cross flap and pockets. 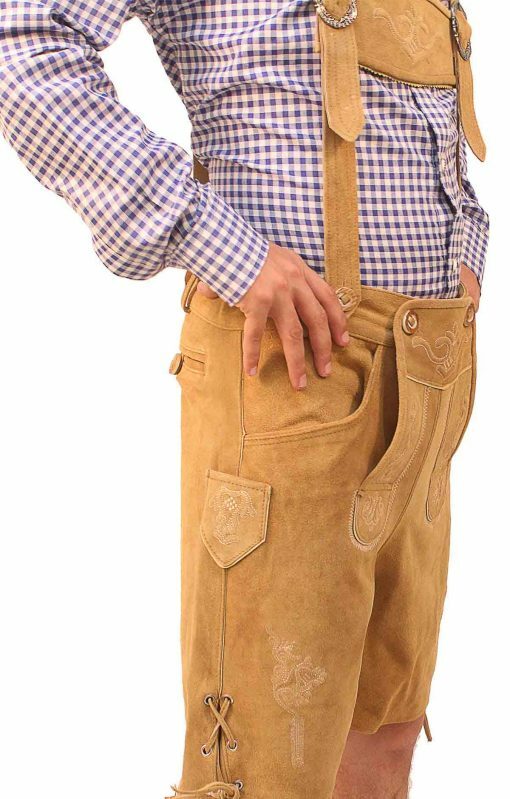 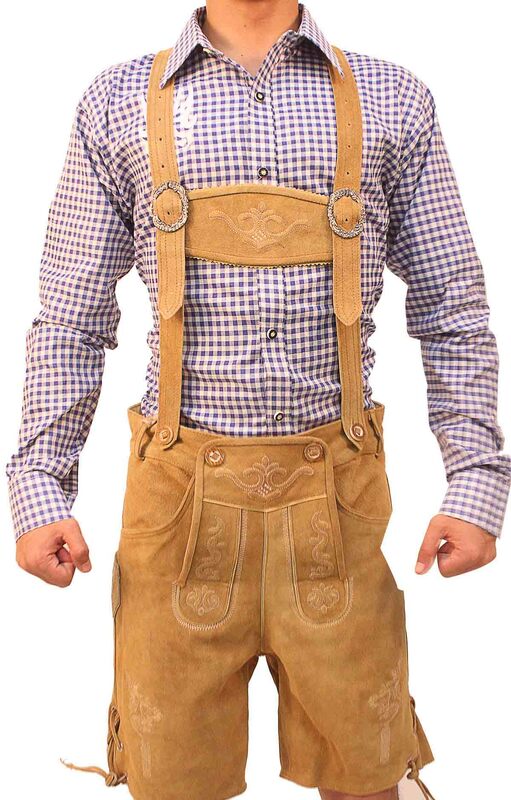 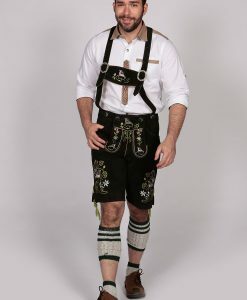 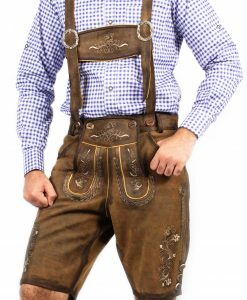 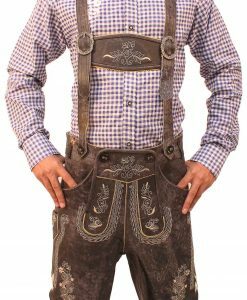 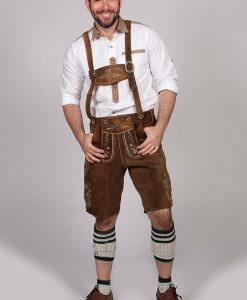 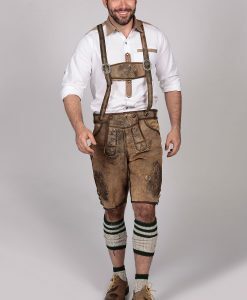 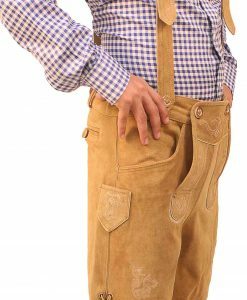 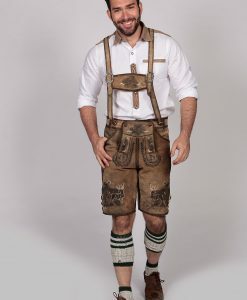 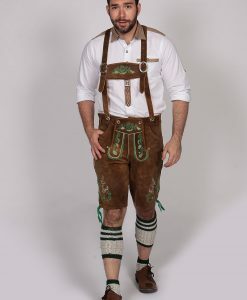 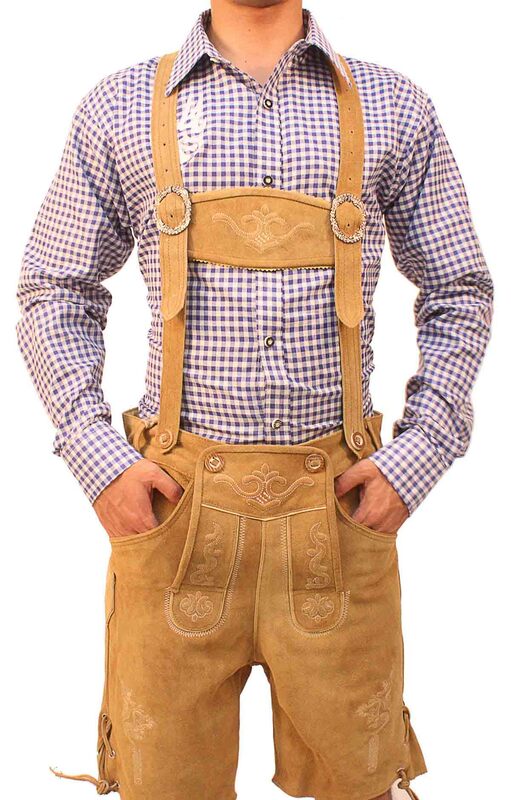 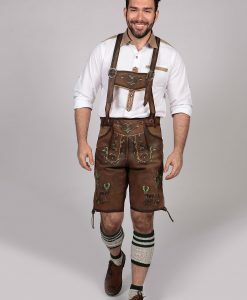 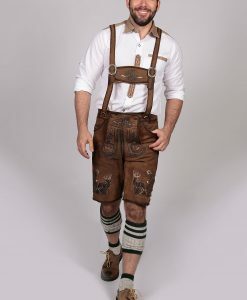 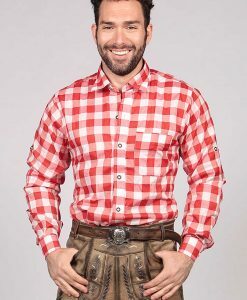 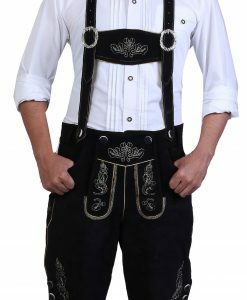 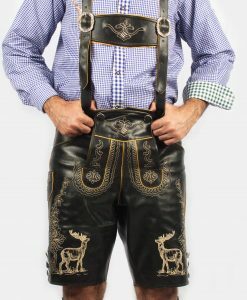 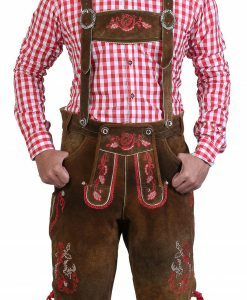 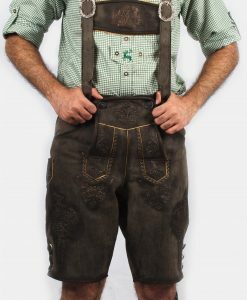 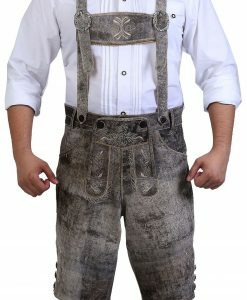 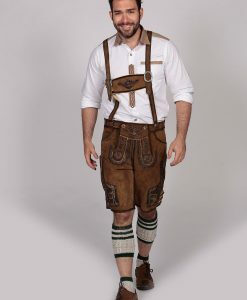 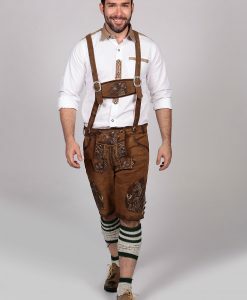 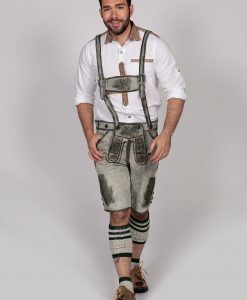 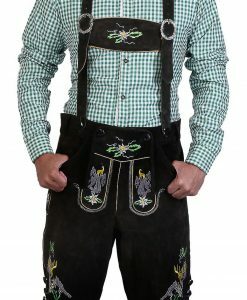 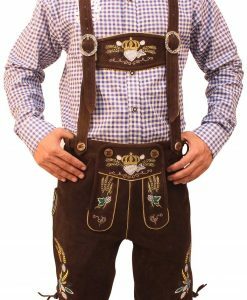 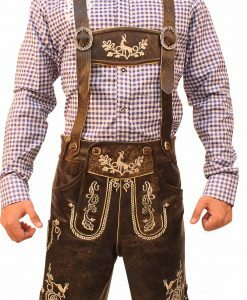 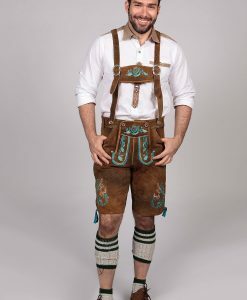 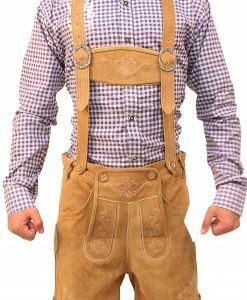 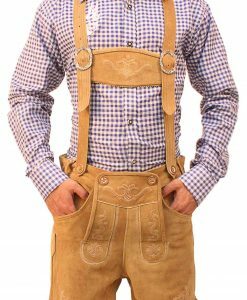 This is a great outfit of a plattler lederhosen that are short leather trousers, to wear on Oktoberfest. 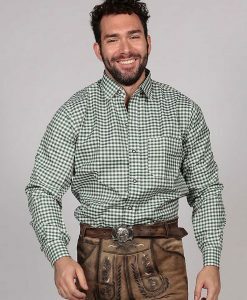 Includes a classy blue-checkered shirt. 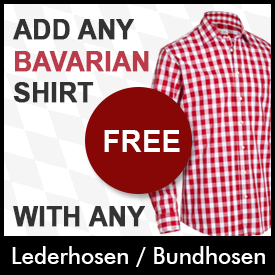 The cotton shirts will help you stay cool in the heat and stand out for any occasion including Oktoberfest!